We are huge fans of crows here, and now a new meta-analysis of 42 studies reveals that corvids don't have a negative impact on prey species. 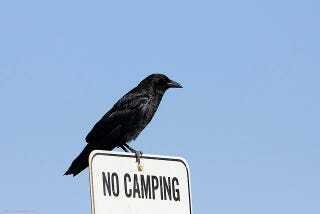 So South Africa's campaign to poison crows appears to be misguided. Dr. Arjun Amar, an ornithologist at the Percy FitzPatrick Institute of African Ornithology in Cape Town, and two other researchers decided to test the assumption that crows have a devastating effect on other bird species. By looking at 42 studies that included data on how crows, ravens, and magpies impact prey species, the researchers found that there was little evidence that they had a long-term deleterious effect. In the meta-analysis, data was divided into two categories: abundance-related, or how corvids decreased numbers and nest density and productivity-related, or how corvids decreased nest success and brood size. In 81% of the cases studied, there was no negative impact on either the abundance or productivity of the prey birds. Even when there was an effect, it was more often on productivity than abundance, meaning that even when the crows did eat eggs or hatchlings, the overall number of prey animals didn't decrease. Speaking with The New York Times, Dr. Amar explained, "We do see crows eating chicks and eggs, but it doesn't translate into long-term losses. When you remove crows, it doesn't translate to more birds in the environment." Corvids are often assumed to be highly detrimental to bird populations, and this perception is often reinforced due to their conspicuous predatory behaviour. However, while this review confirms that corvids can have negative impacts on bird species, the probability of finding a negative impact was almost six times more frequent for productivity than for abundance, and was only 10% for abundance. These results therefore suggest that in most cases bird species are unlikely to be limited by corvid predation. Given these results, conservation management may not necessarily be well served by the removal of corvids, and resources may be better targeted at other limiting factors. The efficacy of corvid removal (alongside other predators) to increase the surplus of game birds available for shooting appears to be higher, although not consistently so, with still a large proportion of cases showing no effect. In the context of game management, the relative effect of corvids and other predators remains to be assessed. This is quite surprising, given the financial resources devoted to corvid control for game management across many countries. Furthermore, the relative effects of predator control and other management options (e.g. habitat management) directed at increasing abundance or reducing predation still remain underexplored. So the focus on taking out crows rather than a more diverse conservations strategy appears to be a mistake. Plus, they remember the faces of those who have wronged them.